Have you ever wondered how many miles your feet travel in one day? 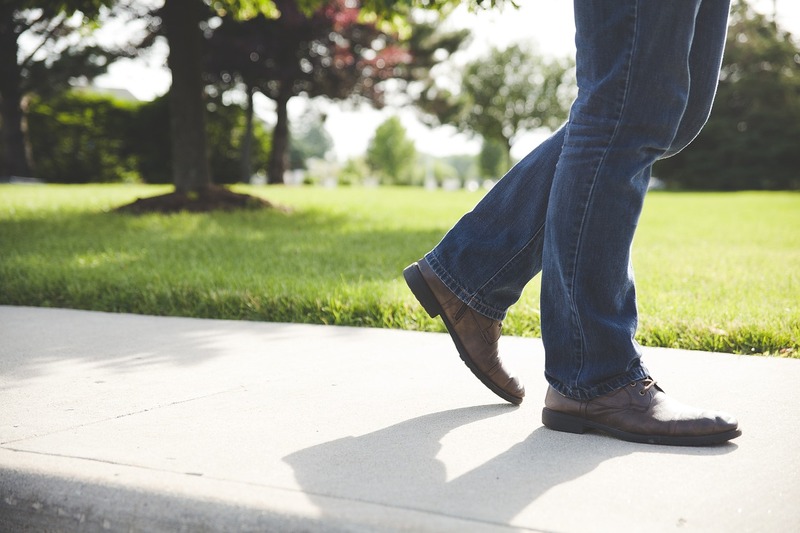 Maybe you keep count of your steps with a pedometer or you track your miles when you run, but the average person walks over 100,000 miles just in their lifetime. Everyday your feet help you stand, walk, and run, your feet are the foundation of your body. That's why it's important to give your feet the support they need with custom foot orthotics. Sometimes, custom foot orthotics can squeak when wearing them with specific shoes. The squeaking is caused from the orthotic rubbing on the inside of the shoe. But, there is a simply remedy. To stop the squeaking apply a thin layer of masking/athletic tape to the bottom of the orthotic, or even better, stop by our office and we can fix it for you. Everybody adjusts to orthotics differently. Allow yourself a 2-3 week adjustment period when wearing your new orthotics. Most people are comfortable wearing their new orthotics in a just a few weeks, but don't rush. If you're having a problem be sure to talk to your podiatrist. 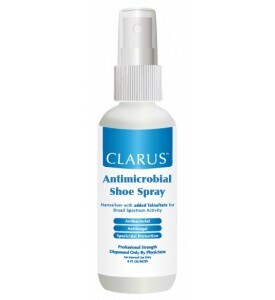 The best way to disinfect orthotics against odor and bacteria is by using Clarus Antimicrobial Shoe Spray - an antimicrobial, anti-fungal, and sporicdal shoe disinfectant available at our podiatry office in Long Beach, CA. Clean your shoes and orthotics with Clarus Shoe Spray. You may also clean your orthotics using a mild soap and a damp washcloth, then let air dry. It is best NOT to submerge the orthotics in water but if you have to get your orthotics wet everyday talk to your podiatrist about what style of orthotic would be best for you. As the orthotic covers become worn out and...smelly we can replace them to make them feel like new again. Most of the time we can do this right in our office which means - less wait time for you! Having two sets of orthotics is like having your cake and eating it too! You can get duplicate sets and multiple styles of orthotics made for all your footwear. Have a running orthotic but want a pair for your dress shoes? You can, at a fraction of the cost! Accommodate your needs and lifestyle with a second pair of custom orthotics. To get the most out of your orthotics have your orthotics checked annually by your podiatrist. Your orthotics have an important job to do, they help your feet function properly, supporting you from the ground up. Have your custom orthotics checked once a year by your podiatrist. However, overtime the orthotics break down and the arches flatten causing more stress on the ligaments and joints in the foot and ankle. Having the orthotics checked regularly can help detect these changes before they lead to foot or ankle problems. How long do I need to wear my orthotics? You should wear your orthotics as long as your doctor recommends. Most people find that they after wearing their foot orthotics they don't want to go without them. When should I have my doctor check the orthotics? We recommend having your orthotics checked once a year. This can help detect any changes in your feet and make sure the orthotics are supporting you correctly. Are orthotics made at a running store, custom? No. These types of orthotics are not true custom orthotics. True custom foot orthotics are made by a podiatrist using the impression of the foot when it is in it's neutral state (non-weight bearing). Custom foot orthotics made by an experienced podiatrist can be an effective treatment solution for people suffering from common foot problems and those that are interested in taking care of their feet and to avoid future foot problems. Remember, healthy feet are not painful feet! If you would like to be evaluated for custom foot orthotics call 562-433-0478.